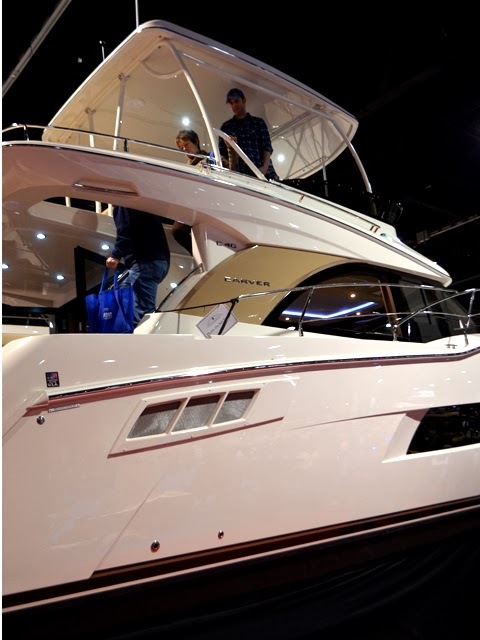 Now I can say I've been to a Boat Show...and it was one I almost could have taken a boat to with all the rain we had yesterday! 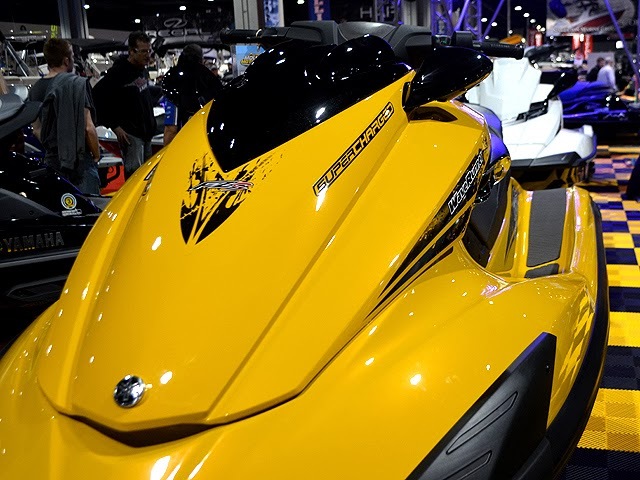 I'd passed by a boat show in Miami a bazillion years ago, but that's certainly not the same as attending one. 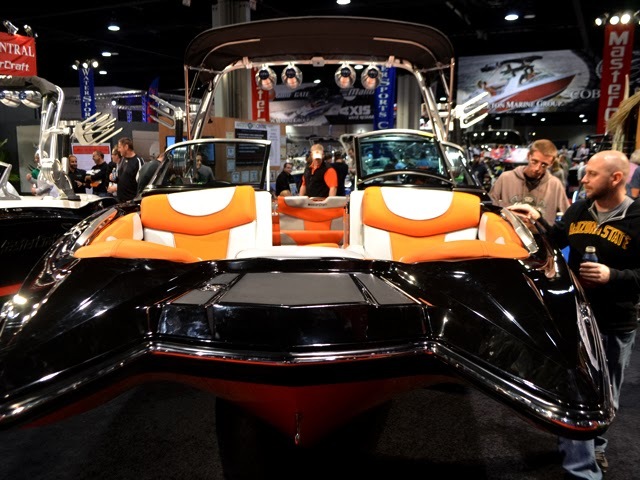 And I have to say, there were many things about the Atlanta Boat Show that impressed me. 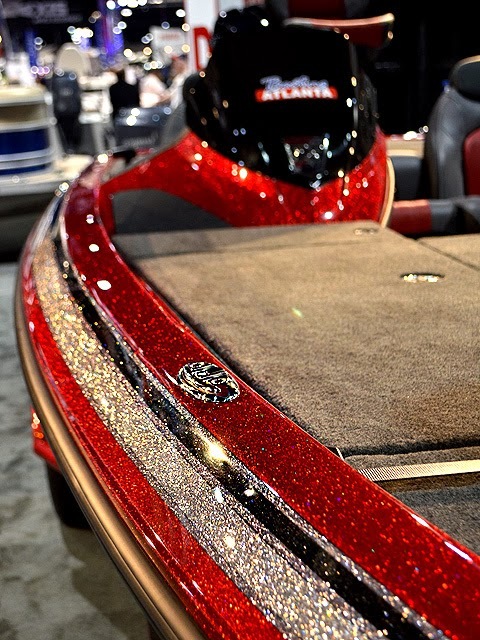 Boat beauty galore! There are quite a few gorgeous specimens at this show. I went with my best friend who said the only thing missing was the multi-story house-like boats, but being my first time, I was impressed with everything there! I've been to countless trade shows and conventions—for work and play—but I've never seen booth holders so engaged with conventioneers. Very impressive! Seriously, every one of them were engaging visitors...I've never experienced that before. It was great to see! I do not own a boat, I assume most Boat Show attendees don't, but I love boating and have always enjoyed excursions on them. Among my favorite excursions were a party on a pontoon on Lake Lanier when I was in my early 20s—great fun; another was my friend's undergrad graduation party, which was held on a 67' yacht on a river in Michigan where we could see Canada...great party; and a boat in Key Largo that took us out to the only coral reef in the continental U.S. to snorkel. But I think my most favorite was a fishing trip in Wisconsin. It was a modest fishing boat, but the experience was one I've loved always. My friend Mary Jo and I went up for a fishing vacation, for a week. We had the BEST time. We fished during the day (I caught the most and the biggest fish!) and ate, imbibed, and played cards in the evenings. What an amazing vacation that was! Wow...hadn't thought about it, but I guess I've been on a fair amount of boats. 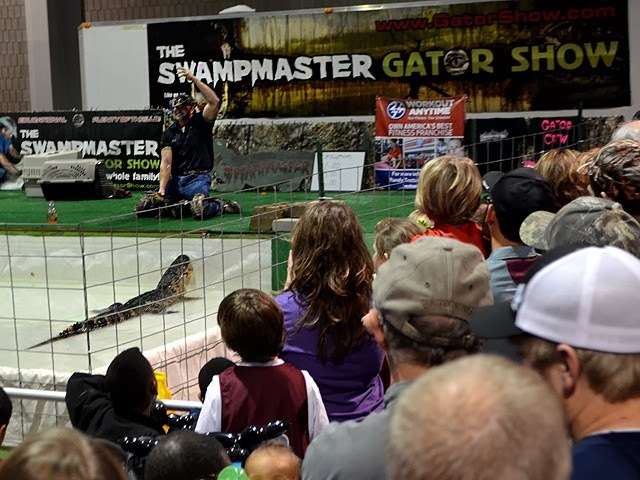 The Show had plenty of entertainment, including a Gator Show! There could have been more seating and viewing area, but I guess it's a first-come, first-served kind of thing. We didn't stay for the whole Gator Show, but it was fun to see nonetheless. Dora the Explorer was at the Show, too! I was particularly fond of the ski jets...they're sooooooooo much fun! The first time I ever rode one was on the beach behind the Fontaine Bleau in Miami. Had a blast! I was surprised at how much riding one was similar to riding a horse (I worked on a horse ranch in Wyoming when I was in high school). Lots of leg work. The Show is sponsored by Progressive Insurance (who I have my auto insurance with, coincidentally), so I was really surprised that the Geico Gecko was there. Then again, it's all about getting sponsors, right? 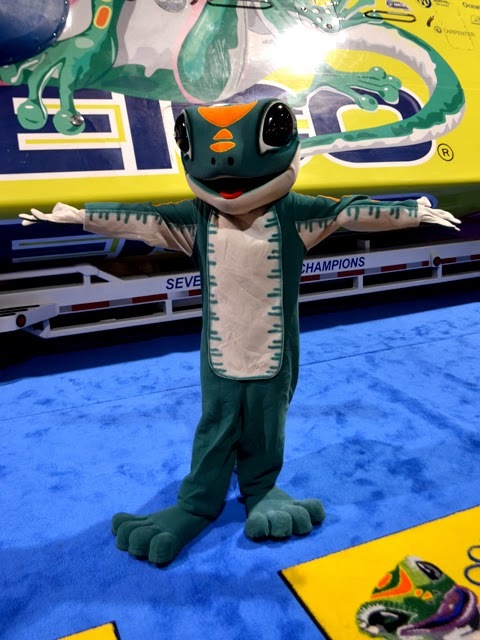 It was fun to see the Gecko, but I would really have loved to have seen Flo, who has 5.3 MILLION "Likes" on Facebook!!! The Show is the normal size of a convention, perhaps a little more modest, but that's understandable given the economy. I think it'll be a while longer before substantial numbers are investing in the pleasures of owning a boat. However, looking at the prices, many of them are quite affordable...not much more than a regular car payment. I told my friend that I think I'd rather be the guy who hosts amazing parties in the beach-side penthouse condo and have friends who have boats. I love a good party and I love a good boat ride. Sounds like an equitable arrangement, yes? The Show was packed! There were all kinds of people...from obvious boat enthusiast to whole families...and everyone was well-behaved. Although, I will never understand why someone would bring a MONDO baby stroller to a show like this. I just don't get it. I don't think my mother ever owned a stroller, and she's just fine. You wouldn't believe all the different products on display! There was everything from ski jets to surf boards to Swarvoski rings, which the ladies were loving! 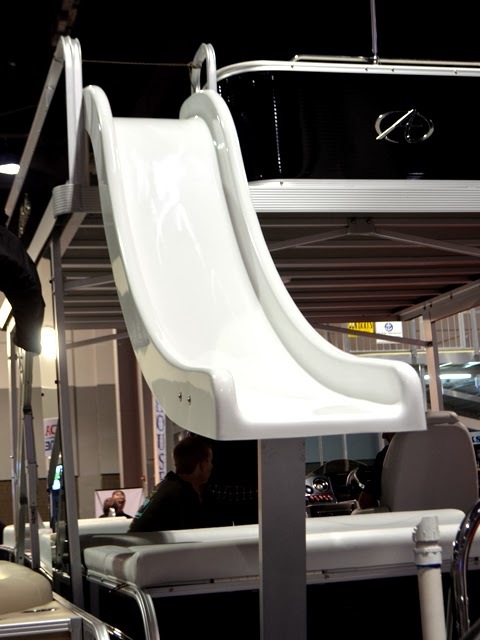 Of particular fascination was the above slide, fastened to the back of a boat. 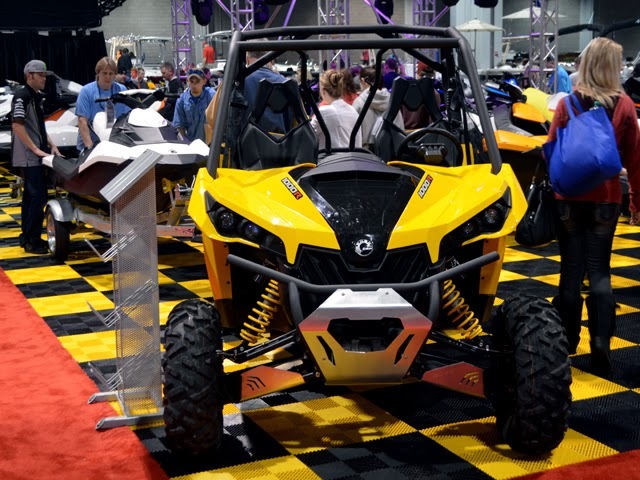 It just screams FUN! Sorry I don't have more technical information to share, but like I said, I'm not a boat owner, just a boat fun loving fan. I will say again though, that I was extremely impressed with the engagement of the various vendors. 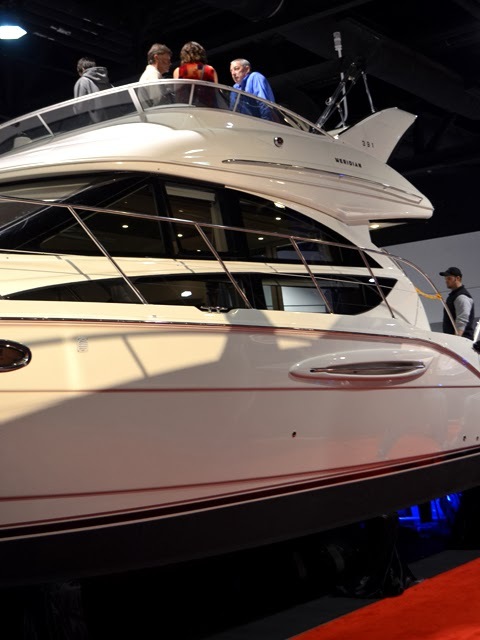 I think their talking and connecting with the attendees make the show well worth attending and an enjoyable time...that and all the amazing, beautiful boats! 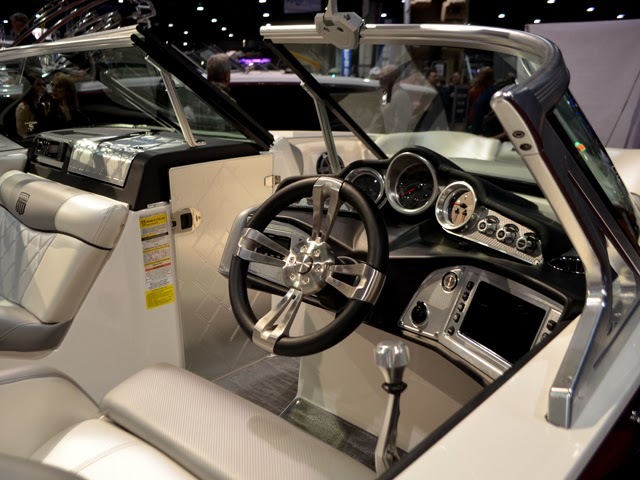 There's still a little bit of time to head down to the Georgia World Congress Center (GWCC) for the Atlanta Boat Show. Oh, and if you go, park in the GWCC parking. The outlying lots are charging more than double what the GWCC is charging. Go have fun!